Please note that first time mentor applicants will also be charged a £20 application processing fee due to the additional time required to process their application and ensure they meet DSA-QAG requirements. 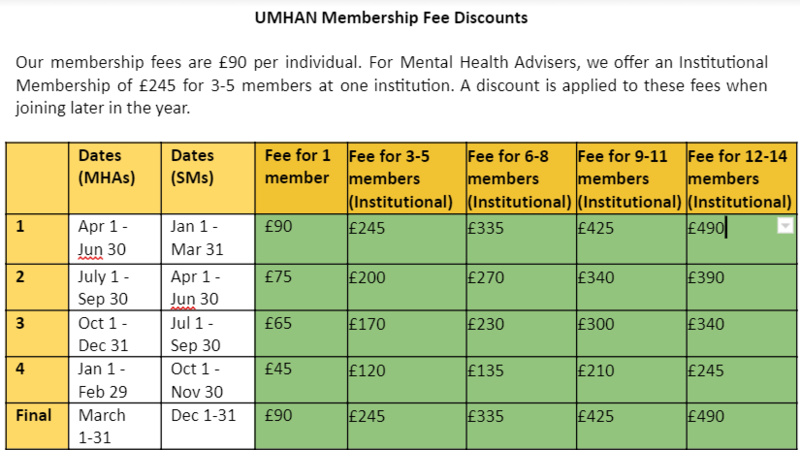 Institutional membership is available to Mental Health Advisers embedded in a Further/Higher Education institution only. When an institution’s membership grows, they may change to the more cost effective Institutional membership structure. 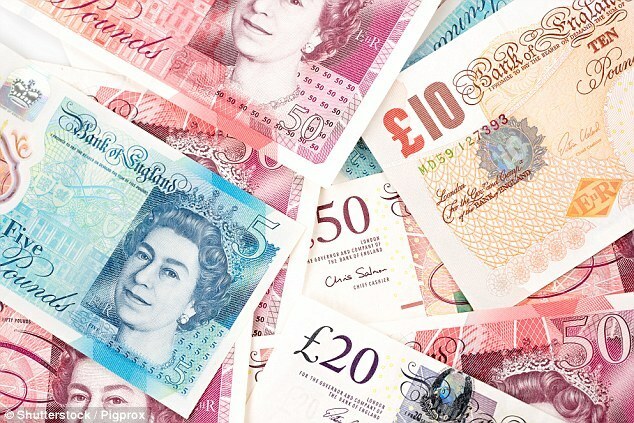 We will automatically apply the payment structure which is most cost effective for you. Please note that quarterly reduction discounts and membership structure upgrade discounts cannot be used in conjunction with one another. You will be offered the discount which is most financially beneficial to you. Institutional quarterly reductions only apply to a group of 3-5 applicants joining UMHAN at the same time.